Pardon me for today using this old photo from my helicopter trip on 8 July. Based on the title of this post perhaps the reason is fairly obvious to you though. 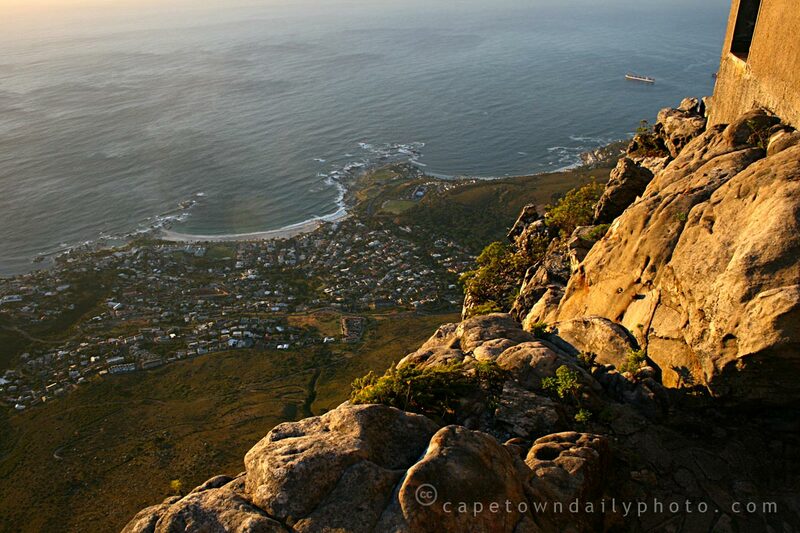 Or, perhaps you haven't heard that Table Mountain is one of the finalists in the New 7 Wonders of the World campaign? Head over to the New7Wonders website, click on the photos, add the 7 that you consider most deserving to your list, and follow the step-by-step instructions. Simple! In closing, first do the voting thing; but when you're done, if you're interested in seeing a few of the photos from my exciting helicopter trip, click through to the photo album that I put together for the ship's crew. Posted in Landscape and tagged table mountain on Thursday, 23 July, 2009 by Paul. Done my voting for Table Mountain as one of the 7 wonders..
Table Mountain looks so good mostly with its Table Cloth, when there its sunshine in the city centre and mist up on the mountain love rotating heading up to the top of the mountain, it is an amazing view from there, where you can actually see all the towns all over Cape Town…its experience not to be missed..whenever one visits South Africa. Agrinnette & Helen, somehow I missed your comments! 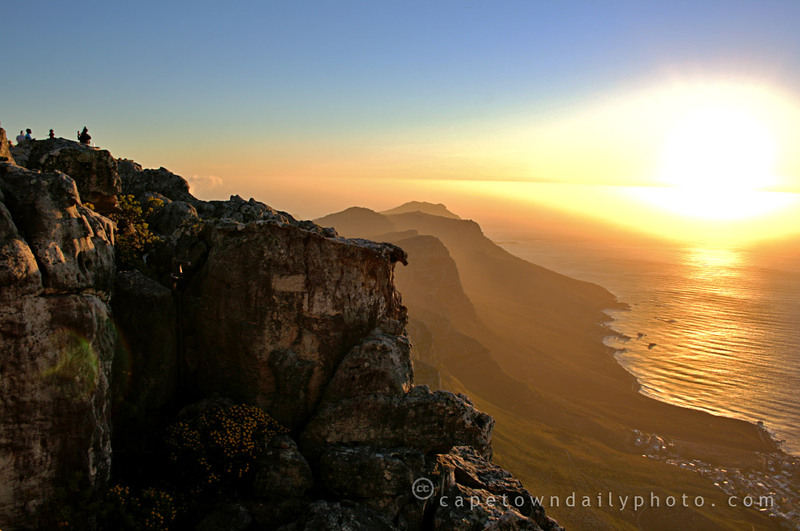 Agrinnette – I’m really glad that you enjoyed visiting Cape Town so much. Did you manage to visit during the World Cup? Helen – thanks for that. See this photo that I just found. 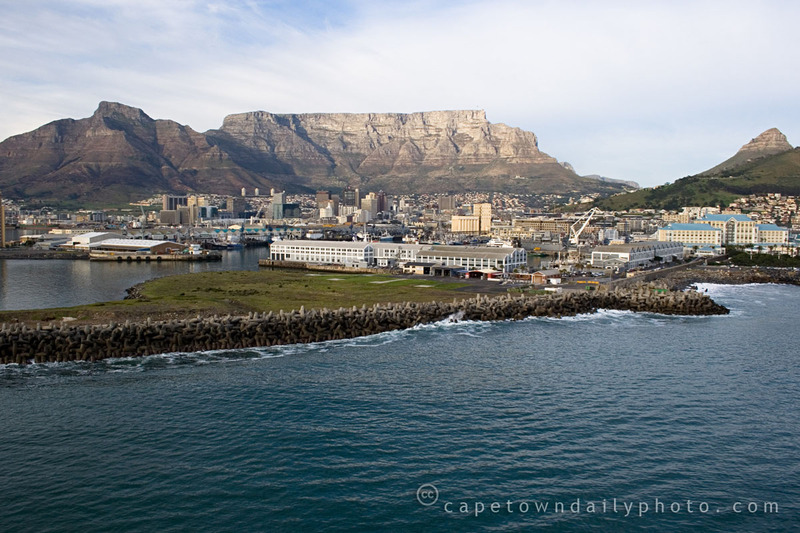 It’s taken from a similar angle, but years ago, before the V&A Waterfront was built. Would love to visit! Ive heard such wonderful things!! !